The red-bricked British-styled public library at Stamford Road was a familiar ground for many students and book-lovers for 40 years. 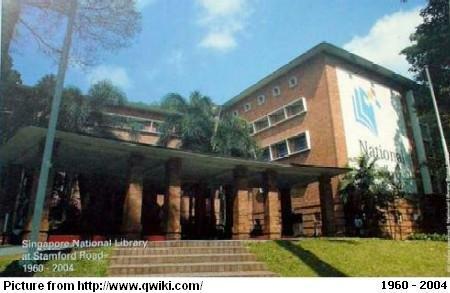 Built in 1960 through donation by prominent local businessman and philanthropist Lee Kong Chian (1893 – 1967), National Library succeeded Raffles Library (renamed as Shonan Library during the Japanese Occupation) as Singapore’s main collection centre of valuable books and reading materials. The library underwent upgrading and renovation in 1997, but just eight years later, the 45-year-old library was torn down despite public dissent. In its place was the construction of Fort Canning Tunnel. The new state-of-the-art new National Library was moved to Victoria Street in 2005, but many still harbour fond memories of the old one. 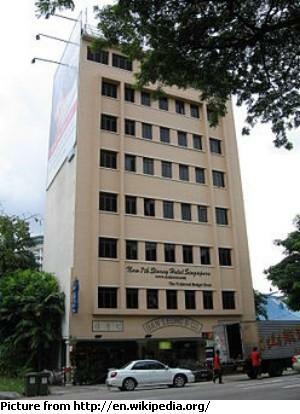 One of the most famous hotels in Singapore in the seventies, Marco Polo Hotel was built in 1968 at Tanglin Road. Originally called Hotel Malaysia, the 10-storey glamorous hotel won several architectural awards and was named one of the top hotels in the world in the eighties. However, the hotel’s fortune declined rapidly in the nineties, with the Asian Currency crisis of 1997/8 delivered the final blow. It was shut down and demolished in 1999, and a condominium called Grange Residences now stands in its place. Located at the junction of River Valley Road and Clemenceau Avenue, the National Theatre, at a cost of $2.2 million, was completed in 1963. The most prominent features of this iconic building were the five diamond facades, which represented the five stars of the national flag, and the front crescent-shaped fountain. With a capacity of 3420 seats, the National Theatre hosted many concerts and performances in the sixties and seventies until it was demolished in 1986, after it was deemed to be structurally unsafe. Housing a variety of marine creatures such as sharks, piranhas and eels, Van Kleef Aquarium was built through the donation of local Dutch businessman Karl Willem Benjamin Van Kleef. The air-conditional building, a rarity during that era, was completed in 1955 at Fort Canning Park. The aquarium’s visitorship peaked in the seventies, but by the mid-eighties, there was an obvious decline in the number of visitors which sealed its fate. 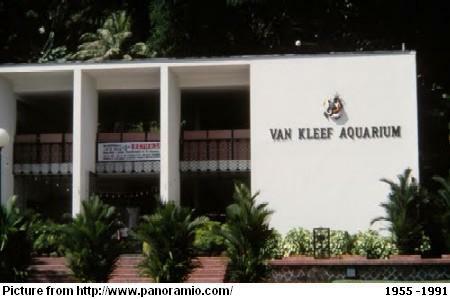 With the opening of the Underwater World at Sentosa, Van Kleef Aquarium was closed in 1991 and demolished six years later. 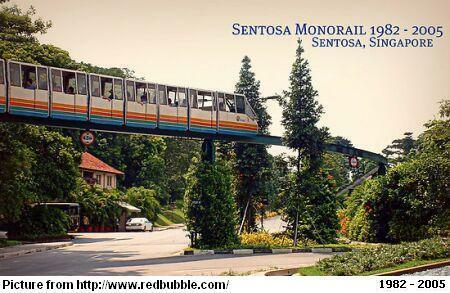 Built in 1982, the old Sentosa Monorail was a joy of ride for many students during their school excursions, even though it was hot, slow and bumpy. Looping through seven station around the island, the sleepy ride was a stark contrast to the rapid pace on mainland Singapore. The construction of the 1.6-km monorail system cost $14 million, and after almost thirty years of service, it was clear that it could not catch up with the modernisation of the island and its increasing visitorship. It made way to a new Sentosa Express in 2005. Occupying a vast land-size equaled to 18 football fields, and a hefty cost of $100 million, Jurong’s Tang Dynasty City was a replica of Chang-An, the ancient capital of Tang dynasty. Displaying Chinese-styled structures and Terracotta Army-alike warrior statues, the theme park, however, struggled to attract visitors and tourists with its high entrance fees and lacklustre marketing. The money-losing business also failed in getting a new owner, and like Marco Polo Hotel, the 1997 Asian financial crisis put the last nail in its coffin. It lasted only 7 years, from 1992 to 1999, before being torn down for good by 2009. It was nine storeys tall, but it was named New 7th Storey Hotel. When it was built by Wee Thiam Siew in 1953, it was the tallest building at Beach Road area. Guests were able to have clear views of the Kallang Basin without any obstruction. 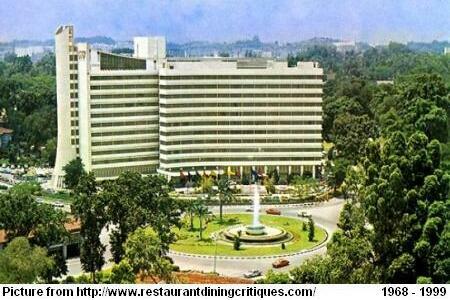 Rated a five-star hotel, it was popular among the British officers and rich overseas businessmen from India and Indonesia. It even had the retro cage lift, one of the few left in Singapore. The hotel, however, saw its decline in the nineties and was restructured to become more of a budget hotel for backpackers. It was demolished in 2009 to make way for the Downtown Line’s new Bugis MRT Station. Also known as Longyamen in Chinese and Batu Berlayar in Malaya, the prominent rock outcrops were recorded in books as early as the 14th century. Located at the water passageway to the current Keppel Harbour, the protruding rocks resembled the gigantic teeth of a dragon. When the British arrived at Singapore, they found the area to be extremely suitable for a harbour with its excellent location and deep water. 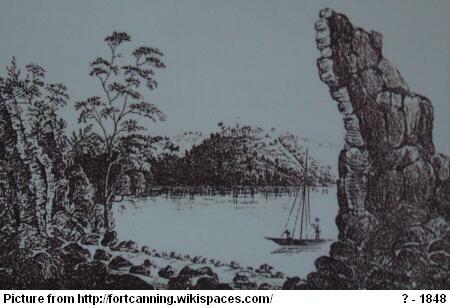 The rocks, however, proved to be a hindrance to large vessels entering the harbour. Thus it was blown up in 1848 by Straits Settlement Surveyor John Thomson (1821 – 1884). 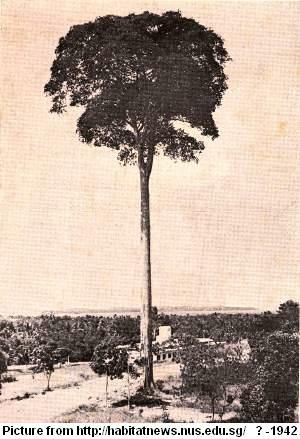 It is said Changi was named after this legendary tree. At about 76m tall, it was used as a prominent landmark in maps as early as 1888. The dark brown timber tree with a round green top, about the height of a typical 20-storey HDB flat, was of the species Sindora Wallichii, named after Danish botanist N. Wallich (1786 – 1854). The British decided to cut down the tree in 1942 to prevent it from being used as a focal point by the invading Japanese. Using explosives at its base, the giant tree finally collapsed, along with the fall of Singapore, after surviving for hundreds of years on this island. This entry was posted in General and tagged 7th Storey Hotel, Changi Tree, Iconic Landmarks, Marco Polo Hotel, Monorail, National Library, National Theatre, Sentosa, Tang Dynasty City, Van Kleef Aquarium. Bookmark the permalink. it pains me that the national library had to make way for a stupid tunnel. 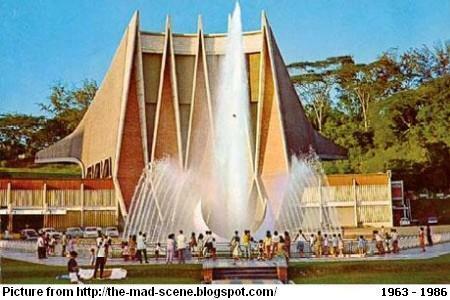 The National Theatre was such an iconic architecture, together with the crescent moon fountain. Anyone recalls the exact location of National Theatre and Van Kleef Aquarium? I remember it as being side by side. I wish I could refer to an old map showing these 2 landmarks and settle my recollection once and for all. They were located along River Valley Road, opposite of present-day Liang Court. Thank you. Remember the crocodile there. Looked big to me as I was small then. 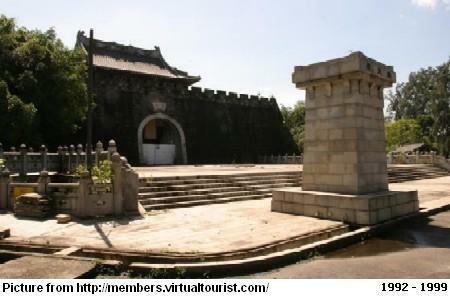 The Octagon (Ba Jiao Teng) of the Yeung Ching School, founded in 1905, demolished in late 1970s should be preserved. Does anyone has photos of The Club in the old Marco Polo hotel? I stumbled upon your blog today by chance when i was searching for photos on the playground which is inside Mcdonalds @ the old Bedok Princess Cinema. I still have old photos of myself as a kid at Tang Dynasty, Haw Par Villa and many old places in Singapore. Our country is changing so fast and demolishing every single memory that i have for Singapore making this country an alien place to live in. Really miss those childhood days. Thanks for writing this blog, i really love it a lot. Looking out at the skyline to anchor ourselves in this perfectly functional but completely generic city we call home in the near future, what might Singaporeans see? Moshe Safdie’s three phallic structures rising out of Marina Bay, Russell Johnson’s prickly Esplanade, Kisho Kurokawa’s Singapore Flyer – there’s some specificity for you. But while these structures were built to make us look good, were any of them built for us in any real sense of the word? They may play host to tourists, performers, celebrities and oil-sheikh millionaires, but they do not serve the uncle who slicks what’s left of his hair back with Brylcreem at 2.30pm before staking out the corner table at the kopitiam downstairs, where he knows he will run into the hairdressing-salon auntie taking a late lunch break – living communities with familiar routines that cannot be replicated. Money can buy the gloss of an international architect’s grandiloquent design for Singapore, Dubai, Shenzhen or Seoul alike, for branding purposes played out on a world stage, but money can’t buy a heterogeneous urban fabric and the patina of lived-in memory. Money can’t buy the proud ethos and social history of our post-independence landmarks, designed by local architectural pioneers. These days, most large-scale buildings in Singapore are designed to be space-maximising, environmentally friendly, visually stunning or cost-saving. While these are important practical considerations, they result in buildings driven by metrics, rather than ideas. Professor Maki was impressed because post-independence Singapore produced several ambitious developments – most prominently, People’s Park Complex, Golden Mile Complex and Tower, and Pearl Bank Apartments, affectionately termed the Big Four – that sought to unify concept and form as set out in Metabolist and Brutalist architecture, dynamic interpretations of Le Corbusier’s ideal of high-rise living. Whatever our personal opinion on their aesthetics, the Big Four are a bold amalgam of western and eastern architectural theories, successfully reimagined for a local context. Uniquely Singaporean, they exemplify the can-do spirit of the headiest of our nation-building times, and are a part of our intangible cultural heritage – a public good. Right now, we risk losing our vernacular post-independence architecture in one fell swoop. Should nothing be done, the collective sales of the Big Four will all eventually go through, for exorbitant sums to private developers. I concede: In an unfettered free market, private interest is king. I concede: There is nothing that we can do as concerned citizens, weak agents, disparate voices. But I do not concede that the fate of these buildings in question is a matter of private interest – they are a public good under threat – and I certainly do not concede that our Government can do nothing to protect a public good from the free market. Architectural experts, social historians, heritage enthusiasts and practising architects have spoken up on this. Will the state not step up to do more for our architectural heritage? We cannot leave this up to chance – freak collective sale voting or benevolent developers – for the free market is never incentivised to defend a public good, and it is the role of centralised entities like governments to mitigate laissez-faire shortcomings. Although there is a conservation department within the Urban Redevelopment Authority, their key operating noun is “Redevelopment”, so let us turn to the National Heritage Board (NHB), a statutory board of the Ministry of Culture, Community and Youth (MCCY) identifying itself as the “custodian of Singapore’s heritage”. Under NHB’s aegis is the Preservation of Sites and Monuments (PSM) division, “the national authority that advises on and provides for the preservation of nationally significant sites and monuments in Singapore”. Their 72 national monuments include the Istana, Tanjong Pagar Railway Station, Fullerton Building, historic temples and mosques, and also Jurong Town Hall. Built in 1974 – a year after People’s Park and Golden Mile Complex – Jurong Town Hall was declared a national monument by the PSM in 2015. Ms Jean Wee, PSM’s director, had this to say on that occasion: “Jurong Town Hall was built in the first decade of nation-building in Singapore, specifically, when we were in our nascent years of industrialisation. This landmark was the work of a pioneering team of local architects. “We have made a conscious move to fill the gaps in our architectural heritage timelines – going beyond colonial structures, and including landmarks that reflect our own historic landscape. These heartfelt words are deeply germane to the endangered Big Four. What is PSM’s take on them? If PSM judged Jurong Town Hall to be “of historic, cultural, traditional, archaeological, architectural, artistic or symbolic significance and national importance”, what is the counter-evaluation and due process that People’s Park Complex, Golden Mile Complex and Tower and Pearl Bank Apartments have not cleared? Alternatively, why have they not been considered? If it is a categorical/bureaucratic stipulation, might the definition of “monument” need to be widened? Might it be necessary for NHB/PSM to commission an independent evaluating body they can consult with on their findings and guidelines? After all, PSM is the self-same authority which stated in 1999 that the iconic red-brick National Library did not have “enough merit” to be protected as a national monument. The library was then torn down to make way for a tunnel, alongside Stamford Road’s realignment. Even if – and especially – when a meritorious structure might be particularly challenging to conserve, it is essential for PSM to push for its gazetting. PSM cannot only elect to conserve buildings which are already predisposed towards accepting heritage status without executive hiccups: state-owned structures (such as Jurong Town Hall), structures that do not sit on land earmarked for redevelopment by another statutory board, and/or structures privately owned by a single entity, which need not implicate as many arduous layers of stakeholders, as in strata-titled buildings like the Big Four. Indeed, an effective resolution for the latter can only be initiated, brokered and achieved by a committed statutory board, in close collaboration with other governmental multi-entities, exploring mechanisms like tax rebates, discounts in development charges, or maintenance subsidies that alleviate market loss incurred by private developers and/or owners who accede to conservation as potentially designated – and supported – by the state. “We hope not only to continue pursuing (PSM’s) ambit more conscientiously,” said PSM’s board chairman Tham Tuck Cheong, in a press release when PSM -previously its own (smaller) statutory board – first merged with NHB, “but in a way that is progressive and proactive”. How has merging with NHB (best known for its cultural work with museums and exhibitions) changed PSM’s remit? Does its scope, budget (PSM’s Monuments Fund – subsidising maintenance of gazetted structures – is a good start, but last year, its budget was a modest $2.2 million, whereas annual maintenance work on Pearl Bank Apartments alone was in excess of $1 million), manpower or structure have to be adjusted? What can MCCY do to further empower PSM’s ambit, for it to contend with the complex challenges of its stated mission even more holistically, in a time of brisk redevelopment? Once, in a dream, I sat under the magnificent cantilevered roof of the National Theatre. Did you know that the five points of its diamond-shaped facade were meant to represent the five stars on our flag? That the semi-circular outdoor fountain was the crescent moon? Designed by local architects to commemorate our self-governance in 1959, more than a third of its construction costs was raised by ordinary Singaporeans chipping in. Opened in 1963, it was demolished in 1986 because defects were found in its roof, and to make way for part of the Central Expressway. Years after its demolition, NHB/PSM marked the area a “Heritage Site”, for “signifying a spirit of self-help and nationhood in the early days of nation-building”. They erected two “Heritage Markers” paying homage to the National Theatre, one with a glowing write-up, the other a pictographical representation. Recently, the two historical markers were removed to make way for Fort Canning MRT Station. “We want everyone to know that the walls of each monument resound with pages of our history and the people behind them,” PSM’s Ms Wee said. Indeed, a sense of belonging is deeply rooted in place – simultaneously concrete and intangible. With the unabating changes in Singapore’s physical landscape and social dynamics, much is at stake. The ball is in the Government’s court. And if the point guard chooses to pass, let us not, in 50 years, undertake a “Memory Project” memorialising the Big Four, turned to dust on our watch. Let us not wax lyrical about the best pad thai we ever had at Golden Mile Complex. Let us not commission a documentary on People’s Park Complex, behemoth of South-east Asian Brutalist architecture. Let us not track down the founders of The Projector, the beloved independent cinema at Golden Mile Tower, to pick their brains on seeding creative diversity in fringe locales. Let us not fund the production of hipster badges featuring illustrations of the legendary horseshoe-shaped Pearl Bank Apartments. Let us not be bystanders to the destruction of things we hold dear – things that make us us – while there is still time to take action, and then some years down the road, when it is well and truly futile, initiate twee endeavours to revel in skin-deep nostalgia about those losses. Before we are asked to have an identity, to reflect on ties that bind, to take pride, to procreate, to pledge, let us have something to come home to that is ours. If this is home, truly, it should look like home. It should feel like home.